As India opened up to global trade in the last two decades amid an increasingly inter-dependent world, global factors and global prices have had a strong effect on Indian commodity prices. 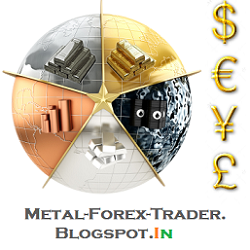 India is a major importer of precious metals, energy, base metals. India’s dependence on imports results in Indian commodity prices at a par with global commodity rates with the rupee and import duty changes causing divergence between local and global prices. India has emerged as a major exporter of wheat and rice in the last few years leading to influence of global grain prices and USD-INR changes on Indian grain prices. Commodity futures traded on Indian exchanges, which are international in nature, are impacted by price changes in key overseas futures contracts. Futures contract of commodities which have little footprint outside India viz. spices, pulses, etc. are mainly driven by domestic supply and demand factors along with local speculative activities. However, energy, precious and base metals have strong correlation with overseas futures. Even soyabean, cotton, palm oil, sugar, etc. are strongly influenced by global futures price movements. Futures of metals and energy commodities viz crude oil, gold, silver, copper, zinc which are actively traded on the domestic bourses show strong correlation with their corresponding global benchmark futures contracts. MCX crude oil futures have a strong correlation of 98.70 per cent with Nymex crude oil futures, with it seldom falling below 97 per cent. Changes in correlation are due to USD-INR volatility. A sharp weakness in the rupee, similar to events in 2013, leads to higher domestic prices even as global prices could be stagnant. Very high correlation values are also seen in MCX gold and MCX silver futures with respect to their benchmark Comex contracts. The 100 days correlation of MCX gold futures with Comex gold futures is near 70 per cent. For a considerable time in the past, the correlation was high as 99 per cent. However, the volatility in the rupee along with distortion due to increase in import duty of gold and silver contributed to lower correlation in recent times. Relatively newer contracts – gold hedge and silver hedge futures contracts by NCDEX – provide a better alternative to Indian traders who want better correlation with global contracts as prices of these hedge contracts are exclusive of Customs duty, local sales tax/VAT/Octroi and any other charges or levies. Thus these contracts will not be affected by changes in Indian import duty or other duties. MCX copper futures have near 98.20 per cent correlation with LME copper prices. Indian metals and energy futures also have a higher intraday correlation with global futures since Indian commodity markets are active till 11:30 pm at night, coinciding with active overseas market hours. MCX zinc, aluminium, lead and nickel futures contracts also show a very strong correlation with the corresponding benchmark contracts on the LME. Futures contract in agricultural commodities also exhibit better correlation with international benchmark contracts; however, it is not as strong as it is with metals and energy commodities. NCDEX soyabean futures currently have 100-day correlation at 91.60 per cent which is at the high end of the range. In the last 10 years, this value has oscillated between the range of -40 and 96 per cent. Since soyabeans in India are not freely traded due to high import duty structure, domestic prices are not directly influenced by the global benchmark CBOT soyabean prices. However, India is a large importer of soya oil and is also an important Asian exporter of soyameal. Global changes in soya oil and soyameal prices influence Indian soya oil and meal prices which, in turn, have an effect over domestic prices. NCDEX soya oil futures have 100-day correlation of 89.30 per cent. Similarly, 100-day correlation between MCX crude palm oil futures and BMD crude palm oil futures are at 94.30 per cent indicating very strong correlation. Here too the volatility in the rupee, import duty changes along with domestic supply and demand scenario play a role in deviation between Indian and overseas prices. Indian wheat futures, currently, have a poor 100-day correlation at -14.60 per cent with CME wheat futures due to rupee volatility, export permits/demand, local supply and demand factors, MSP, etc. This value has been as high as 85 per cent in 2012. Similarly, Indian corn futures currently have a poor 100 day correlation at -24.60 per cent with CBOT corn futures. However, the broad trend in international prices does have an impact on prices of domestic agriculture commodities. India is the second largest cotton producer and also the second largest cotton exporter in the world. Changes in the in Indian cotton demand and supply scenario affects international prices and vice-versa. The 100-day correlation between ICE cotton and MCX cotton is at 87.80 per cent.